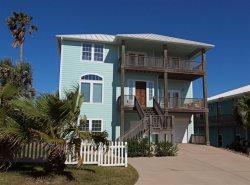 Mustang Island's Ocean Village is located on 11th in Port Aransas. All the homes are 4 bedroom 3 bath homes. 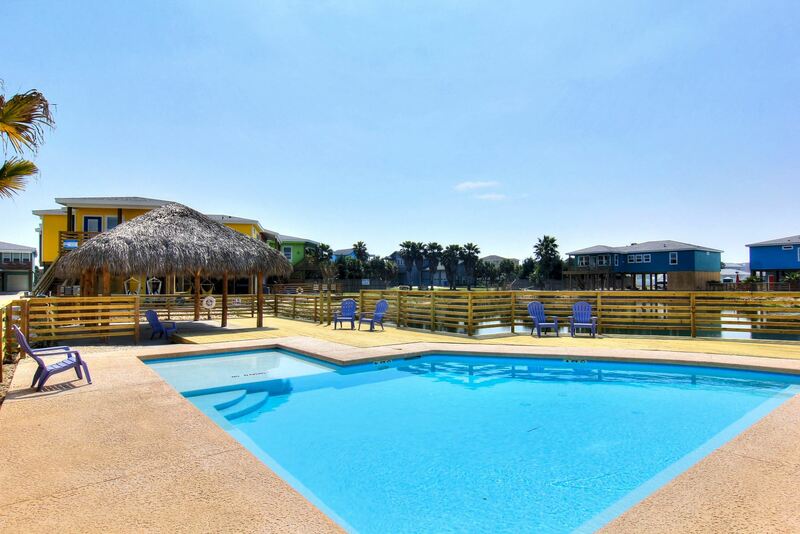 There is a pool and cabana. The homes surround a pond with plenty of turtles, catch and release fishing. They will come to the surface to take a look at you too. Beach Access 1A or Sandcastle Drive to get to the beach. Sleeps 10 - 11 depending on the home. Parking of vehicles is under the home. Check to see which homes allow use of garage. Please limit parking to 4 cars.